We met in a classroom in 2014, discovering in one another kindred spirits in the act of making textiles, and both with a penchant for finding and using unusual materials. 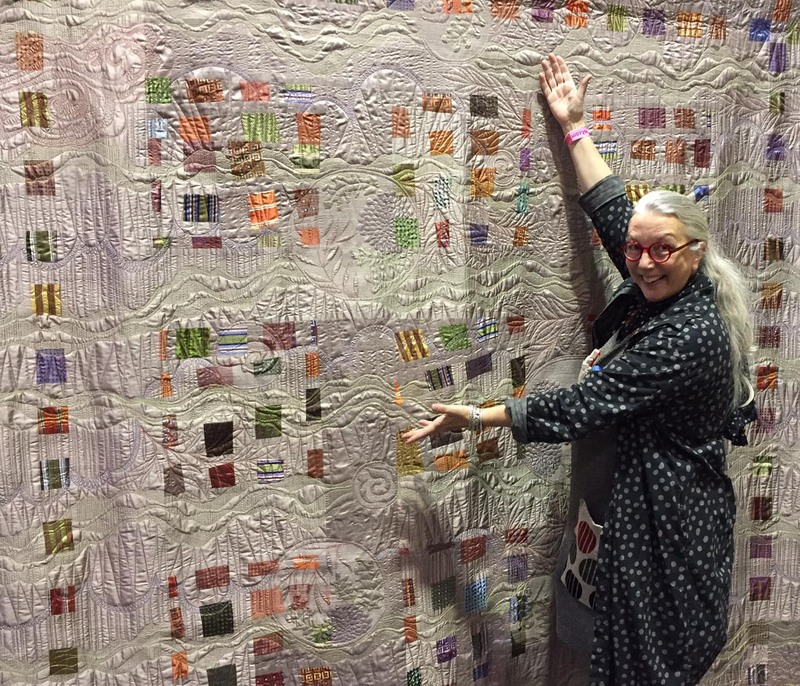 As lovers of salvage sites, thrift stores and scrap bins everywhere, how could we not bond as quilt-makers with an eye to re-visioning odd materials into awesome new quilts…? We may have spent our young years on opposite sides of the Atlantic Ocean, yet Julia McLeod and Sue Fox have long possessed a shared passion for of all sorts of reclaimed textiles, and over the years, each of us has developed alternative resources for collecting them. We share a love of both the discarded and the new, and we value the history and richness to be found in old and/or cast-off materials. The backstories of where we found our materials, why they were discarded, who may have used them before us (and for what purpose?) —and most definitely, how each of us anticipates a new life for these materials— fuels our collaboration with one another. We came together as partners in Silk & Salvage with the express purpose to inform—both to teach others and to learn from them. We each bring different skill-sets to the table, so while each of us may have different perspectives on quilt-making, we are constantly inspiring and learning from one another—and from our students! 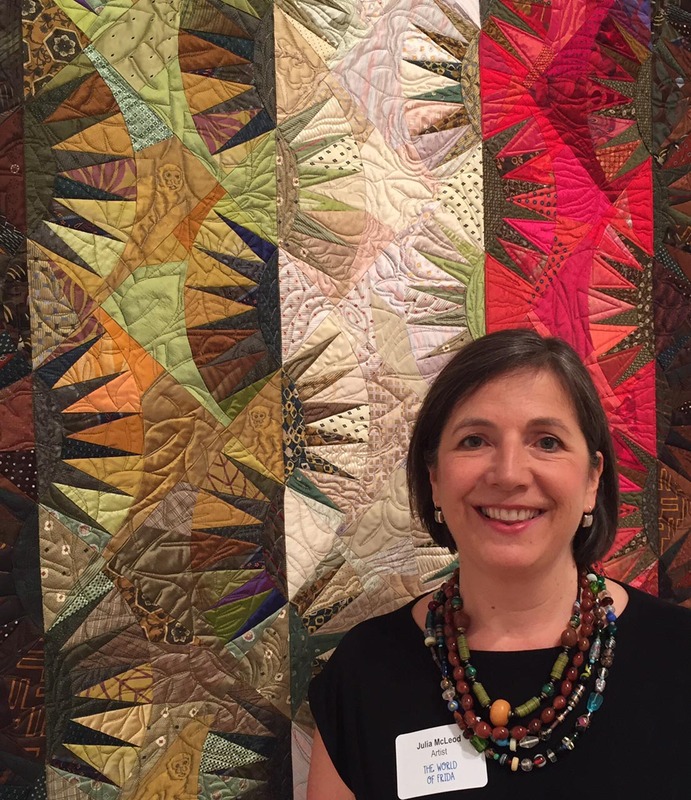 Our partnership has infused a renewed passion into the evolution of our individual work, and sharing enthusiasm and encouragement with one another as we work in the quilting community is an unanticipated bonus. “When you grow up in the middle of nowhere, you learn early how to make things using only the materials that are already around you. You begin to see everything through the lens of ‘What can this become...if I cut it apart and re-build it into something else?’” So says Sue Fox of her youthful years in rural Maine, where she learned to sew at age ten, under the tutelage of her immigrant Scottish Grandmother. Three decades of working in theatrical costume design in the San Francisco Bay Area honed Fox’s discerning eye with another question always in mind: “How will the costumes on stage ‘read’ from 15 feet, from 50 feet, or from 500 feet...?” Lessons about detail within the larger picture were firmly laid in place by this working practice. Graduating from Brighton University on England's south coast with a degree in Fashion Textile design, Julia pursued a career in the British textile industry, working in the mills of Yorkshire and Scotland and then in the world of bespoke tailoring on London's Savile Row. A trans-Atlantic move to a New York City menswear company lead McLeod to take root in the US, ultimately settling in the San Francisco Bay Area.